In this week’s edition of Discovered Technologies, we present you with a revolutionary, simple yet effective innovation called “Lend an Eye”. Lend an Eye is an application that allows volunteers to help blind and visually impaired people navigate the city and shop by means of a smartphone’s camera. When the blind user needs assistance to move through unknown territory, he places a volunteer request into the lend an eye app. 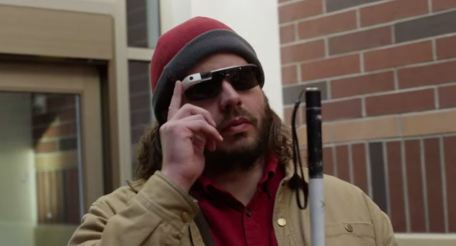 If there is a volunteer available, the app will allow the volunteer to see through the blind person’s smartphone camera and guide him or her by means of the smartphone’s headphones. Developed by Grey Group Pte Ltd. Lend an Eye is a truly simple solution that is likely to make a great impact on the lives of people who are blind who could very much use the help of those willing to lend an eye for a few minutes. If you would like to volunteer, simply go to the Google Play Store on you smartphone and search for “Lend an Eye Volunteer”. This could actually turn out to be a very fun product that is free and will make a world of difference to many.